Simon is passionate about music performance and music education. 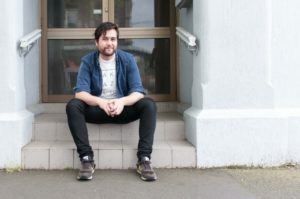 He has recorded on an ARIA nominated album, and as a Triple J “Unearthed” winner has played major festivals such as Big Day Out, Bluesfest, and Womad. 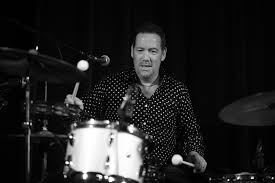 He backed major recording artists in the house band on a national television program for two years, and has also played at the MCG in front of an audience of 65,000 people. His Masters research focussed on psychological limitations to music practice and performance, and he has held a leadership position in Higher Education for six years. Music has been a life long passion. I have been involved professionally in the music industry for the 20 years. Being able to see Australia and the world playing with my band Dallas Crane and other prominent Australian artists. Currently Dallas Crane are touring our 6th studio album and are recording songs for its follow up. I enjoy all aspects of music production from seed to completed song and have written, engineered and produced over 250 songs. I love teaching, it was a natural progression for me. I like to use my industry experience to create an environment that will benefit all students. I have designed music/Sound Production courses for quite a broad variety of groups; from youth-at-risk to Vocational and Higher Education. I am currently undertaking a Master of Fine Arts at the University of Melbourne that is based on song-writing with youth-at-risk. Certificate IV of Training and Assessment (TAE41110). Currently I am undertaking a Masters of Fine Arts – Research at Victorian College of the Arts – Melbourne University based on the processes of song-writing with marginalized youth. Matt Voigt started working at RBX studios in 1992 where he worked on the recording and mixing of TV Ad’s, documentaries, jingles and Freeza battle of the band winners. After nearly 2 years, he moved to the famous Sing Sing Studios. 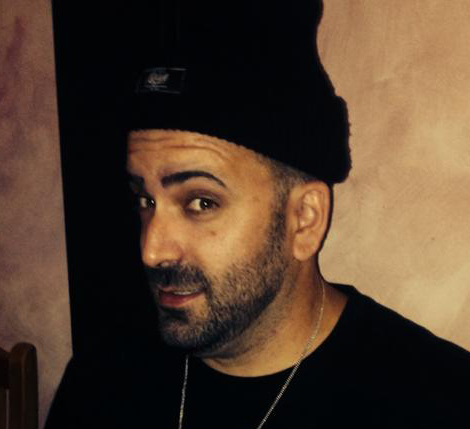 There he learnt recording, mixing and production techniques from international producers such as Nick Launay, Nick Dadia, Tom Lord-Alge, VictorVan Vugt and many other acclaimed local producers. During Matt’s time at Sing Sing he worked on classic albums like, The Living End debut albumand Powderfinger Odyssey Number 5. 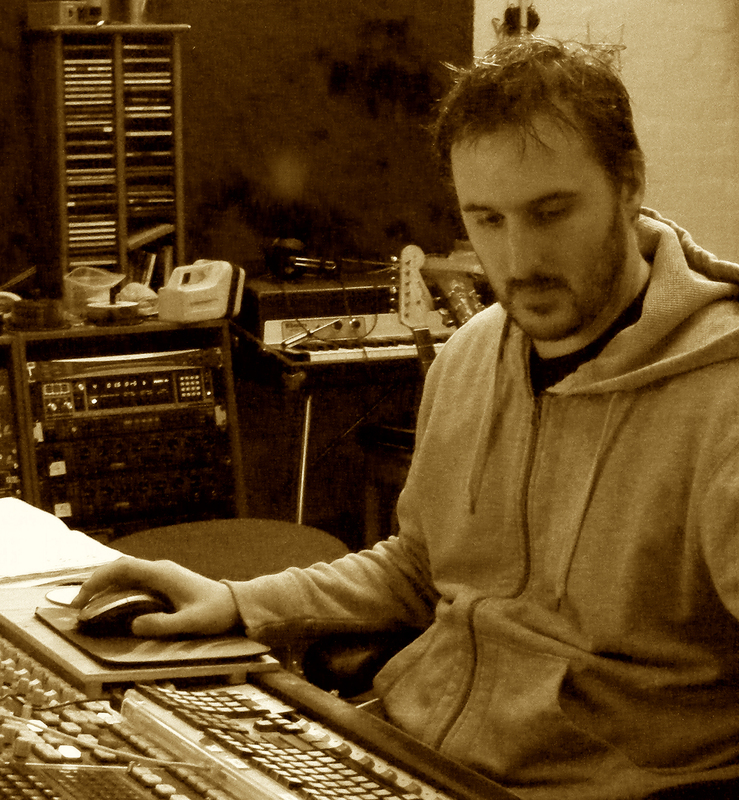 Matt has also recorded and mixed for acts like, Cat Power, The Dirty Three, Kiss,The Killers, Will I Am, and on the sound for films such as Lantana and Praise. 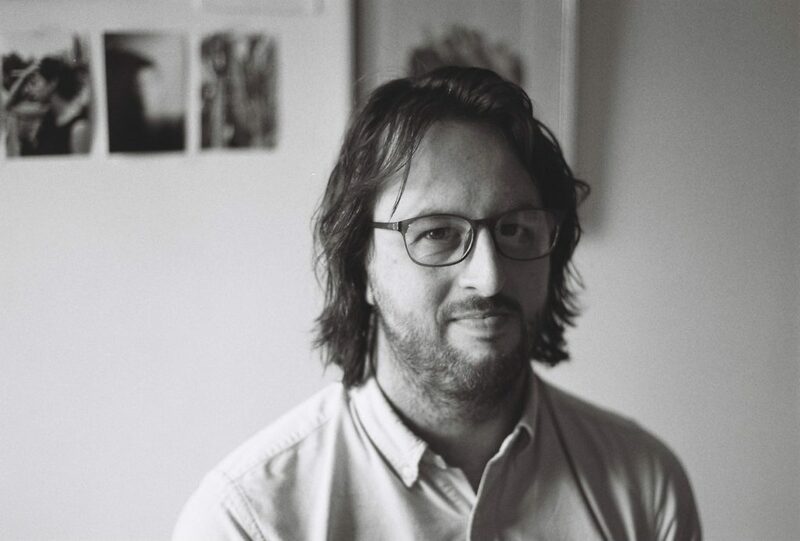 In more recent years Matt has worked on projects for bands such as The Smith Street Band, Big Scary, The Twerps, The Ocean Party, The Nation Blue and Oh Mercy. Matts continues to produce record and mix music and is passionate about sharing his knowledge, experience and ideas with like-minded artists and producers. He is currently studying a Masters of Fine Arts (Production) at VCA – Melb University. 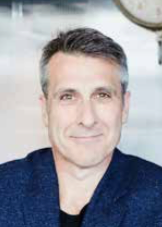 Frank Varrasso has run promotions and publicity departments at both state and national levels for numerous Record Labels, including Warner Music Australia, EMI Music Australia, and Festival Mushroom Records, and was Senior Director of National Promotions and Publicity at Sony Music, before starting his own media promotions and publicity company, Varrasso PR in 2009. With over 20 years’ experience in the music industry, Frank has worked with international and local artists including P!nk, Justin Timberlake, Kings of Leon, Oasis, Red Hot Chili Peppers, Madonna, Blur, Green Day, Foo Fighters, Beyoncé, Eskimo Joe, to name but a few. 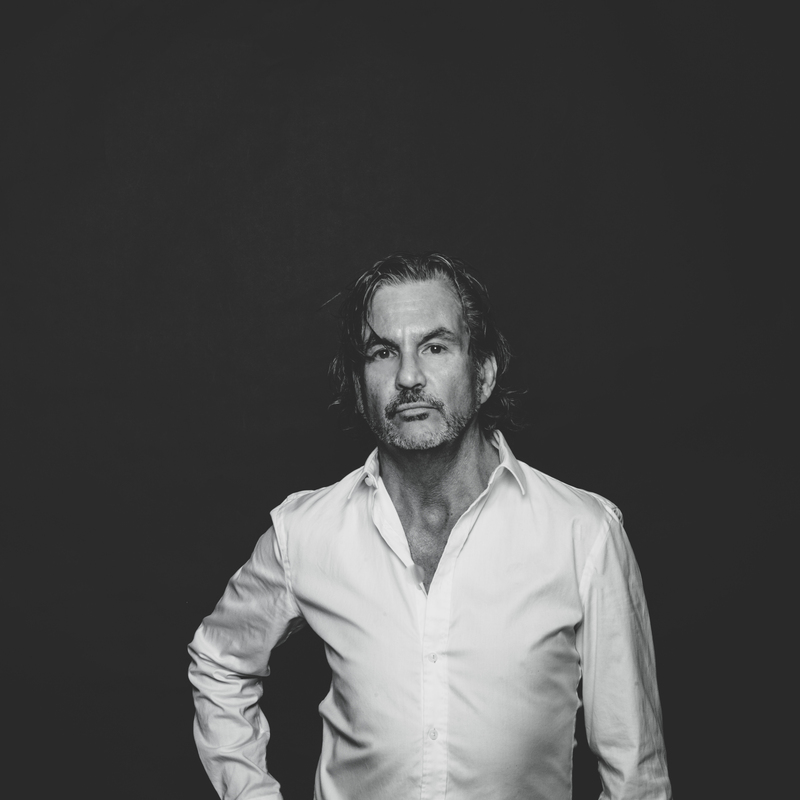 Frank brings his wealth of knowledge and experience to the Box Hill Institute campus record label, booking agency and artist management company – “Boxa ” – which provides students with genuine ‘real world’ experience and small group mentoring. He also oversees the very successful Box Hill Institute Music Business internship program, helping place students into high profile music industry internships which often lead to ongoing employment in the industry. Frank Varrasso lectures in the Applied Business suite of subjects, Marketing & PR, Record Industry, Artist Management and Internship subjects. 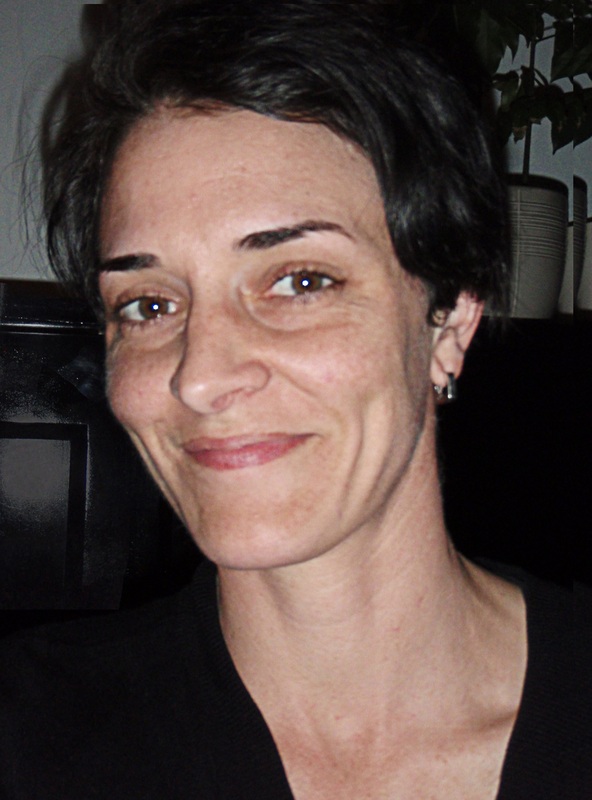 Abby Gee has an extensive event management and music industry experience spanning some 20 years. She is the principal of music and events company One Little Indian Enterprises and has worked on tours with artists including Katy Perry, Lana Del Ray, U2, Wolfmother, Bjork, Madonna, Garbage and Portishead amongst others. Her previous and current client roster includes Future Entertainment, Fuzzy, the Australian Independent Record Labels Association Awards, Sound Campaign, Secret Sounds, Rubber Records, Universal Music, and the Honorable Al Gore’s Climate Project and His Holiness the Dalai Lama’s national tour as national events manager. Abby’s academic record evidences her solid foundation in events and music management theory: Abby has a Music Business Diploma from Berklee College of Music in Boston, USA; an Advanced Diploma in Events from Swinburne University; a Bachelor of Business (Music Industry) from Victoria University, Melbourne, and Abby is currently in her final year of her Bachelor of Laws at Victoria University. In 2011 Abby’s first book, Event Management Theory & Practice was published by US publisher McGraw Hill and received wide industry praise for its relevance and detailed and practical industry focused content. Abby lectures in Event Management, Law and Business Creation & Development. Shayne has been working in the music industry for over 10 years. He has held roles such as Record Label Manager, Tour Manager and Artist Manager and worked along side some of the Australian music industries most influential business counterparts. His scope also spans beyond music, though his work as local marketing and branding ambassador for some of the worlds biggest skateboard companies and street culture communities. He is also an acclaimed photographer and filmmaker. This wealth of experience, makes him a very versatile lecturer. Shayne has been a music business lecturer at Box Hill Institute for over 8 years, he specialises in fields such as Marketing, Copyright Law/Publishing, Contract Law, Future of Music and Artist/Event Management. Christian O’Brien is an APRA and ARIA award nominated composer, songwriter and producer with 10 years’ experience in the Australian music industry. Christian’s debut album with Melbourne band ALPINE received the 2013 iTunes Alternative Album of the Year and The Age EG Album of the Year awards and was nominated for Triple J Album of the Year and Best Breakthrough Artist of the Year at the 2013 ARIA awards. Christian was nominated for Breakthrough Songwriter of the Year at the 2013 APRA awards. In 2015 ALPINE’s second record, ‘Yuck’ was nominated for Triple J Album of the Year. Christian has toured extensively across Australian and overseas. As a composer Christian’s chamber works have been performed and recorded by leading musicians and ensembles in Australia and abroad, including The Melbourne Symphony Orchestra, and commissions from PLEXUS, Volume and Ensemble Three. Christian gained his bachelor’s degree classical guitar in 2005 from the Melba Conservatorium under Dr Ken Murray. He then attained his master’s degree in composition from The University if Melbourne in 2012 under Dr Stuart Greenbaum. Christian is currently lecturer in the breadth subject Guitar Cultures and Practice at The University of Melbourne as well as lecturing music theory at Box Hill Institue. Warren Burt is a composer, performer, writer, video maker, instrument builder, software designer and a few other things. He attended The University at Albany (BA 1971) and University of California, San Diego (MA 1975) before moving to Australia in 1975. 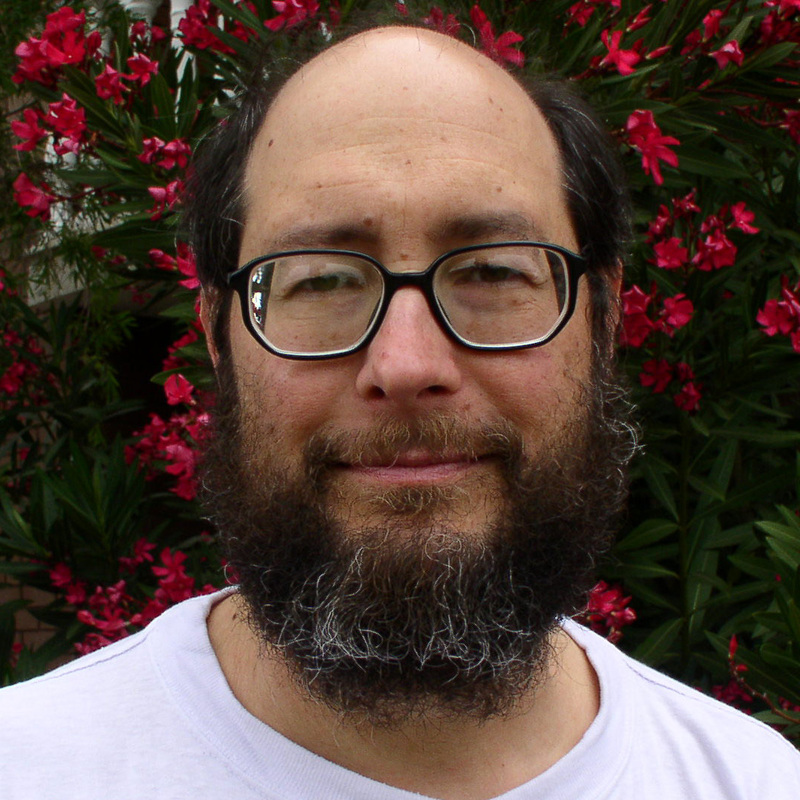 In 2007 he received a PhD from the University of Wollongong, for his work in microtonal music. In Australia he has worked in academia, as a freelance composer, a radio producer, a writer, and a community arts organizer. His compositions and video works have been performed around the world, including a number of performances and commissions over the years from the Astra Choir, and his music has been released on Pogus, Tall Poppies, XI, Move, Capstone and Logos Records among others, as well as almost 100 releases on his own Scarlet Aardvark label. He currently teaches “aesthetics” into the Music Business course. Nicholas studied B.Mus (Jazz Guitar) 2003-06 at Monash University and 2011 Cert. IV Sound Production at RMIT. His early original music projects span genres including indie-folk/electronic, contemporary jazz, and Yacht Rack/Retro Funk. In 2015 he released an EP under the moniker dxHEAVEN and was invited to participate in the Red Bull Music Academy in Paris. 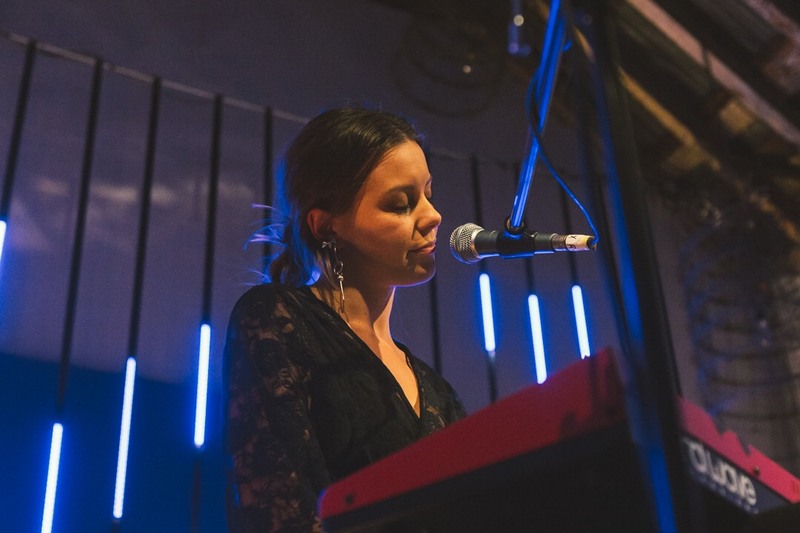 Member of the band Jaala from 2015-2018 in which time they recorded 2 records, this first of which being featured on Triple J’s Album of the week and receiving a 7.8 in Pitchfork. In 2015 he setup a production studio called Triceratapes in Abbotsford for songwriting, producing, engineering, and mixing. In 2016 he began lecturing at Box Hill Institute and this semester teaching Electronic Music History, Electronic Music Production, Interactive Audio/Visual Design, and Studio Production, along with getting married to Polly Shanahan in November 2016. 2018 started a sound design and music composition business with 2 other long time collaborators called Scoresaurus. The team is currently working on underscoring the animated series and sound design & music for the computer game. Nicholas continues to be a live touring musician playing guitar, keys, bass, and backing vocals with artists such as Lisa Mitchell, Owl Eyes, Slow Dancer, and Meg Mac among others. 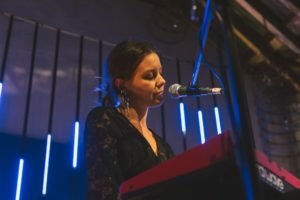 Dominique grew up in Rye on The Mornington Peninsula, and set about establishing herself as a musician while she was still in high school. Today, she works predominantly as part of Melbourne duo nyck, where she’s seen a great deal of success in the past year, performing around Australia with artists like Emma Louise, Amy Shark, and The Cat Empire. In their first year, the band’s debut single, Decision, garnered national radio play on Triple J (which saw them become Unearthed Feature) Artists, and they secured national support tours and festivals like Valley Fiesta in Brisbane, and Peninsula Picnic. As part of nyck, Dom writes her own songs and lyrics, and works closely with producer, Hayden Calnin through the recording and mixing process. During her time at university, Dom threw herself at everything, studying for a stint in New York before completing her Jazz Performance degree at Monash University. At the same time, she was the lead singer of a 9 piece jazz band, Hyjinx, who gained a big reputation locally for putting on vivid and energetic live shows. Today, Dom works as a singing teacher and choir leader at Box Hill Tafe, when not in the studio or on tour, teaching the next generation of students how to hone their voices and find the same lovely balance between grit and honesty and beauty that she does. 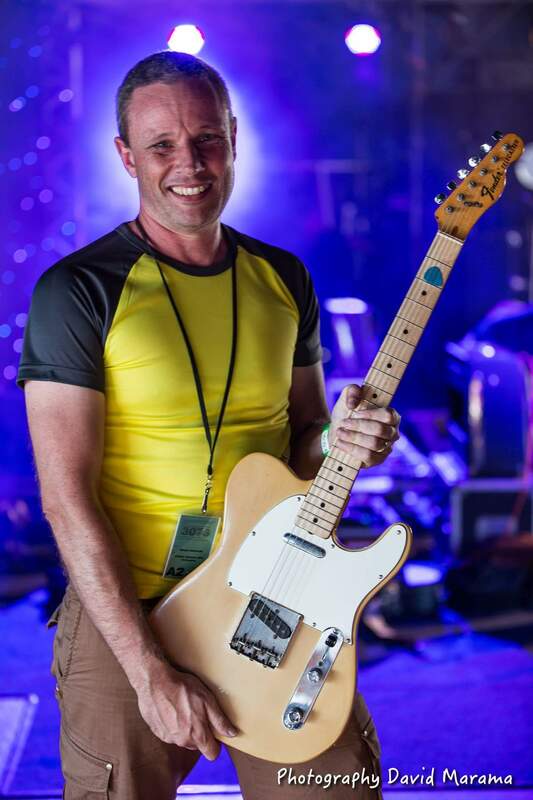 Guitarist, producer, studio engineer, composer and ARIA Award winner, Shane O’Mara is one of Australia’s most versatile musicians. A graduate of the Victorian College of the Arts, where he studied classical guitar and composition, he has been a professional musician for over 25 years, with extensive recording and touring experience with many diverse artists. Shane currently plays and records with solo artist Lisa Miller and the various guises of Tim Roger’s solo projects. With these two diverse artists he has found the perfect foil for his musical persuasions. He recently joined the band Pony Face. He played with Paul Kelly for many years and recorded four albums with him. Prior to his time with P.K. he worked for years with Stephen Cummings, as guitarist and co-writer and/or producer, engineer spanning over 10 albums. 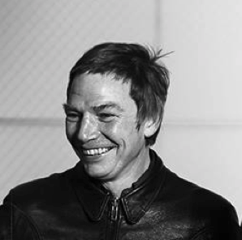 Shane also spent a period of time playing with Chris Wilson, recording the much acclaimed “Live at the Continental” album. He toured Australia as guitarist-of choice for American singer-songwriter/producer Joe Henry and English pop/punk icon Edwyn Collins. Shane and Rebecca Barnard released two albums with their own band, the ARIA nominated Rebecca’s Empire – 1996’s “Way Of All Things” and 1999’s “Welcome”, placing two songs on Triple J’s Hottest 100. Shane runs ‘yikesville’, his studio in Melbourne’s West , where he has produced recorded & mixed albums for leading Australian artists including Lisa Miller , Tim Rogers, Raised by Eagles Rebecca Barnard , Charles Jenkins , The Audreys [who’s 1st 2nd & 3rd albums received winning Aria’s in 2007/08] . Sal Kimber & The Rollin Wheel, Tracy McNeil & the Good Life , Suzannah Espie , Rob Snarsky and Stephen Cummings. Angie Hart, Frente, Vika & Linda Bull, Peter Garrett, Stephen Cummings, Jo Camilleri, The Black sorrows, Paul Kelly, Dave Dobbyn, Rockwiz Orkestra, Rebecca’s Empire, Renee Geyer, David McComb,Shane Nicholson,Tiddas,Ruby Hunter,The Wolfgramms,Ollie Olsen,Glen Richards, The Loved Ones, Archie Roach, Ross Wilson, Kate Ceberano, Chris Wilson, Shane Howard, Michel Shocked, Kasey Chambers, Shane Nicholson, Christine Anu, Olympia. N’fa Jones is an ARIA award winning music artist whose career began in the basement of the Deadly Fresh Crew in 1989. Since then N’fa has gone on to establish himself as a mainstay in the Australian music scene collaborating with artists like Darapht, 360, Hilltop Hoods, Nick Thayer, Remi, M Phazes and the list goes on. With an un-ending source of creativity N’fa has started and performed in his bands 1200 Techniques, Run For Your Life, No Fixed Abode and the most recent project Cool Out Sun, which has released their debut LP. 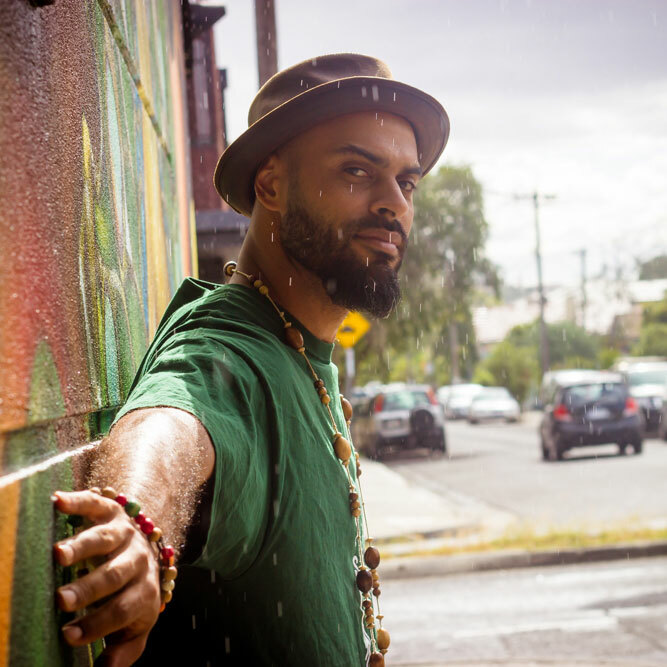 N’fa was recently nominated for a prize in The Age Music Victoria Awards.Writing, recording, performing and sharing music is in his DNA.